When you want your flooring to look beautiful, elegant, and stylish, natural marble is the way to go! You can achieve something exciting and new when playing with different patterns. 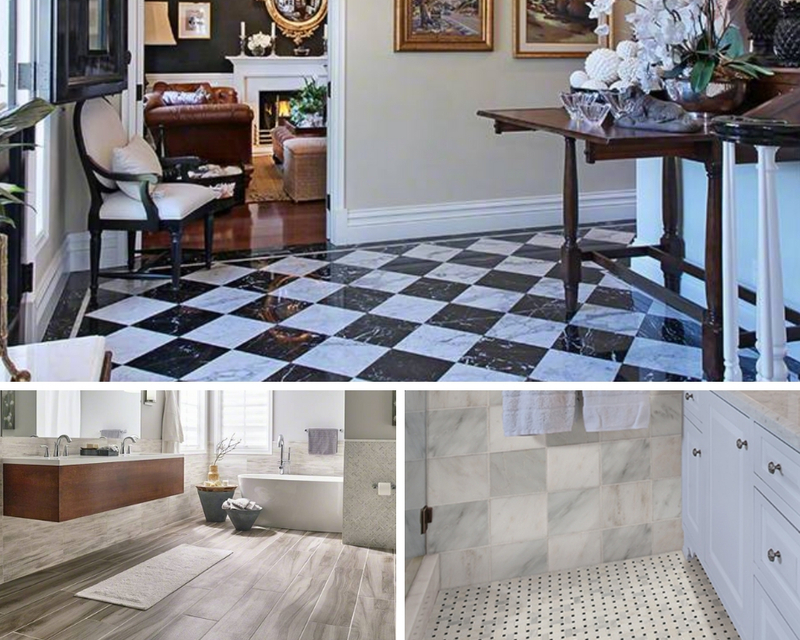 Since flooring has such a big impact on a room, marble floors will not only instantly elevate the design of any space but also will beautifully showcase your unique style. 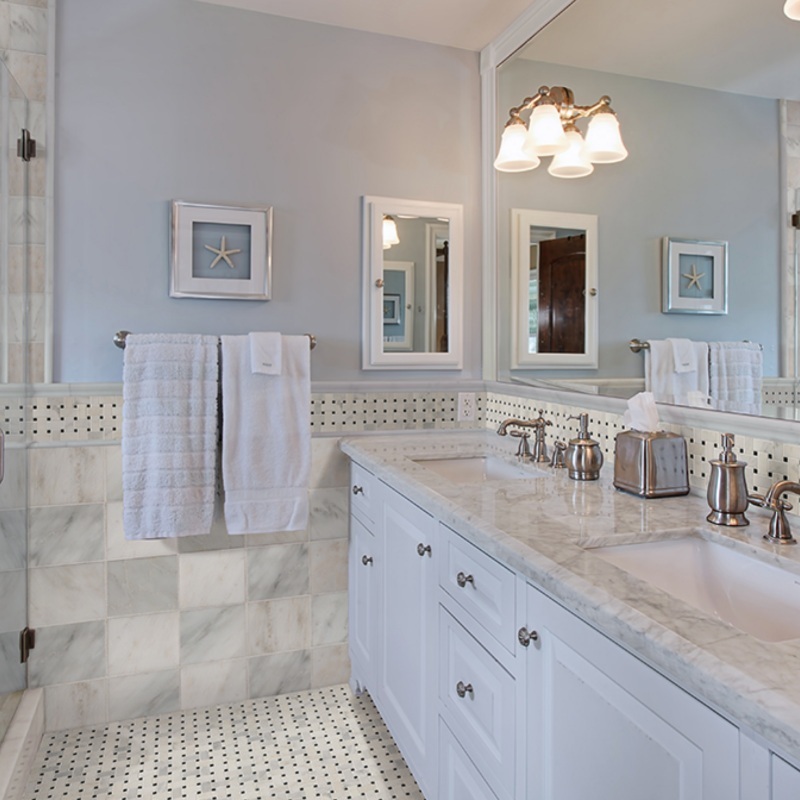 We think these five marble tile patterns will inspire you on your next remodel! A stretcher bond pattern features a brick-like configuration with rectangular tiles that perfectly lines up in the middle of the tiles directly on top and bottom. This well-known pattern is given a dramatic contemporary look with the installation of Black Oak Marble. 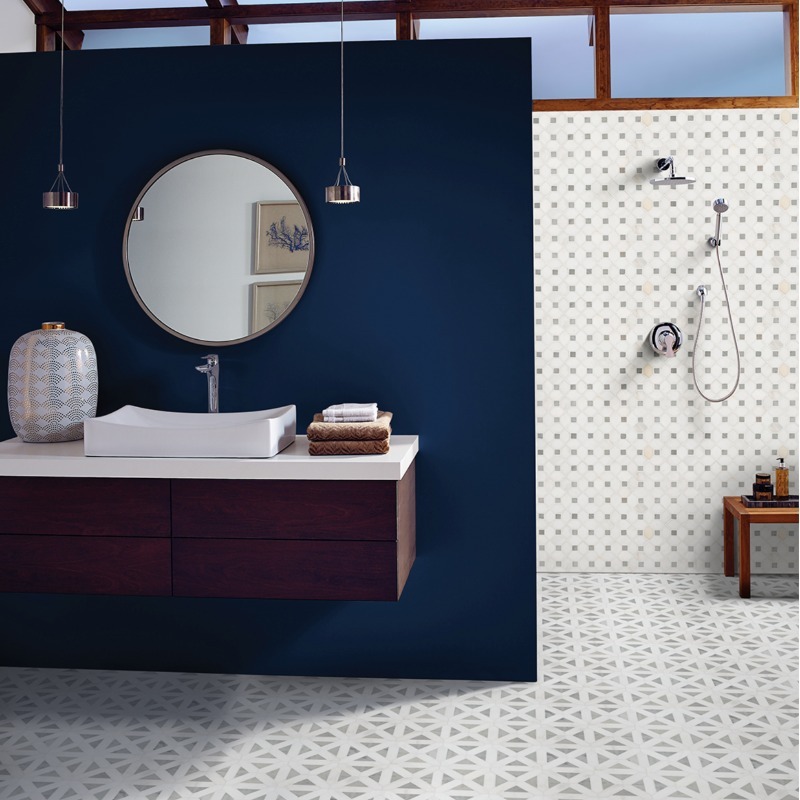 The deep jet and charcoal colors come in 12x24 tile with a polished finish for a more modern, sophisticated feel, and the vertical application allows the tile to continue into the shower for a stunning floor-to-ceiling creation! 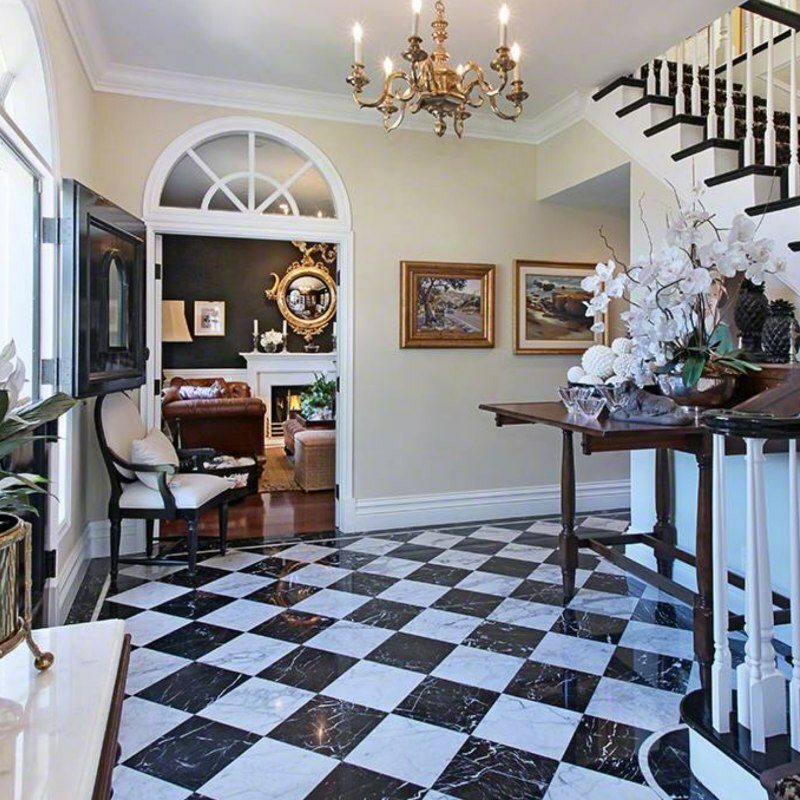 A diagonal pattern is a common installation for marble with square tiles being laid on a 45-degree angle, but it is the classic black-and-white pattern that turns this diamond shape into a stunning checkerboard statement. 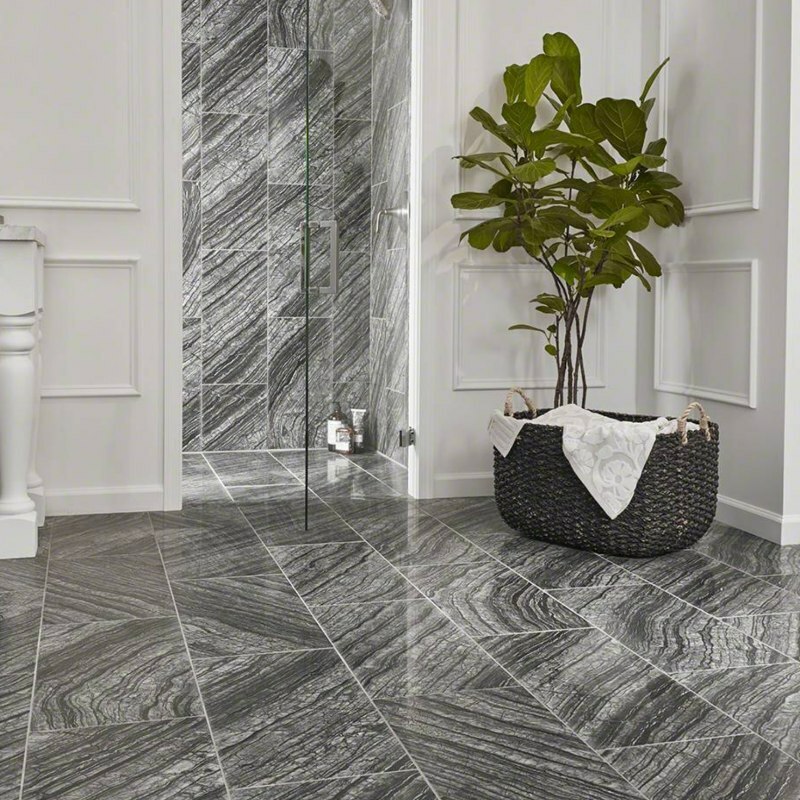 China Black W/Vein Marble is a high-contrast black stone with frosty white veins. It is alternated with iconic Italian Carrara White Marble with a white background and gray veins. The high-impact design perfectly suits this traditional home with classical elements. 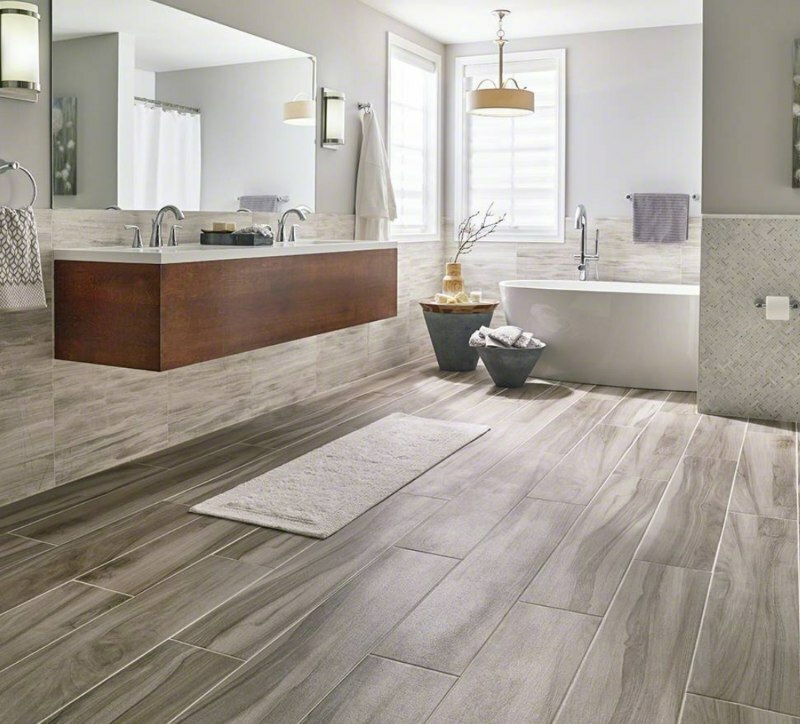 A plank pattern is used for wood-look tile floors where different lengths and widths of material are randomly placed for a more natural appeal. White Oak Marble mimics natural hardwood oak with its soft white and gray tones, and it comes in various lengths, widths, and finishes. The same marble flooring is carried throughout as a half-wall backsplash in a straight pattern where the tile is stacked on top and the grout lines perfectly line up. Mosaic patterns come in lots of different designs, and the Bianco Dolomite Dotty Polished shower tile is closest to the pinwheel pattern. It features a small square tile surrounded by larger square tiles, but in this case, the corners are cut off and create more of a diamond shape. The classic Turkish marble tile in white with gray squares features a contemporary design with a very graphic element. A windmill pattern features a square tile with four rectangular tiles arranged around it. Arabescato Carrara with Black Marble is a mesh-backed mosaic tile made from classic white-and-gray Cararra and pops of black. While it looks like a basket weave pattern, it really is most similar to the windmill. It ties the marble flooring together using the same backsplash border and complements the marble countertop. Even though marble is a classic building material, it is okay to go beyond the obvious with this treasured beauty. Depending on the marble slabs chosen, you can still have the sophisticated look but with modern twists or traditional shapes. Check out MSI’s Floor Pattern Selector tool for help with the perfect floor for your project.